Change your look and hair colour instantly, experiment with techniques and trend-led looks, then simply wash out and start again. 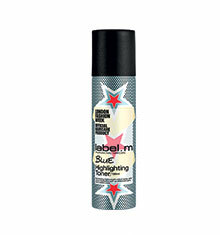 With these illuminating lightweight toner sprays with a metallic sheen, non-committal colour has never been easier - Free your creativity! Why not become a 'true redhead' and go for a complete 24hr change? Think placement colour focus used on specific areas e.g. fringe, ends. 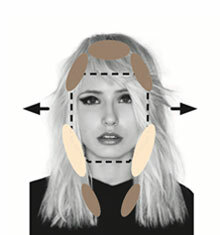 Resculpt your face shape by spraying on blonde hair for added depth. 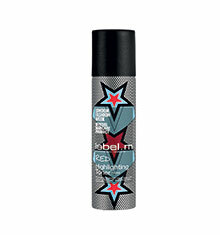 Create shimmering highlights when applied to darker hair tones. 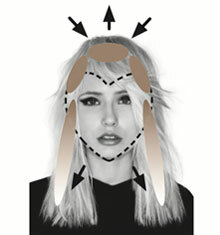 Four trend led techniques brought to you by our award-winning International Artistic Team and product experts led by Sacha Mascolo-Tarbuck to create fun new looks. A new beauty revolution is here and it's changing how we apply make-up and hair colour. A colouring technique that involves careful positioning of shadows to contour and highlights to strobe - enhancing the look of your face and hair. In order to widen the facial features, apply Brunette Highlighting Toner to the roots and the underneath of the hair to create shadows. 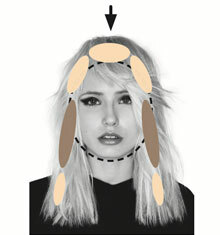 A single blonde highlight around the face is used to frame and create a more oval face shape. In order to soften the shape of the chin without widening the forehead, apply Brunette Highlighting Toner to the top of the head and crown areas whilst using the Blonde Highlighting Toner towards the mid-lengths and ends to lighten the jawline. In order to elongate a round or square face, use Blonde Highlighting Toner at the top and ends of the hair, whilst applying Brunette Highlighting Toner at the sides of your face, for a slimmer and more contoured appeal.